At its 91st session from 21st November to 9th December 2016 , UN Committee on the Elimination of Racial Discrimination (CERD) will consider the situation of racial discrimination in following 6 countries. 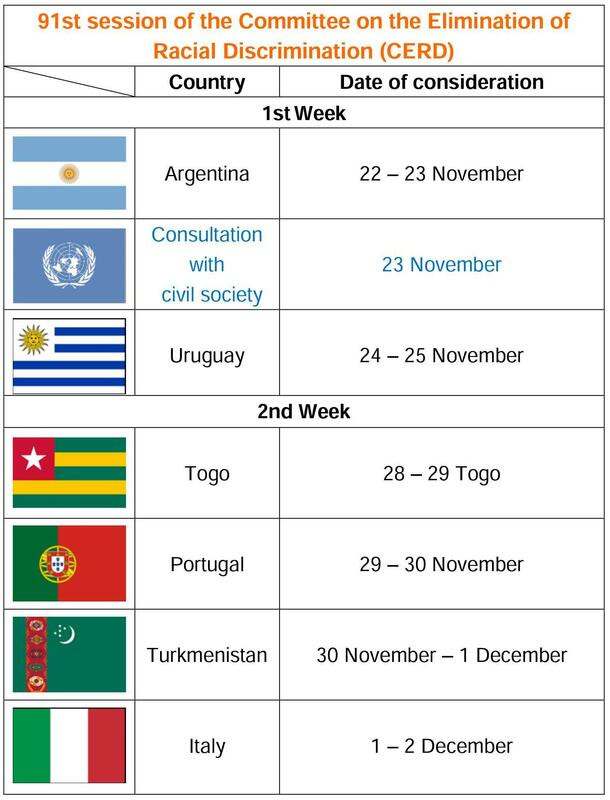 Civil society organisations are encouraged to submit information on Argentina, Italy, Portugal, Togo, Turkmenistan and Uruguay. The Committee will hold a consultation with civil society on 23rd November from 3 pm. Follow our twitter for live coverage!